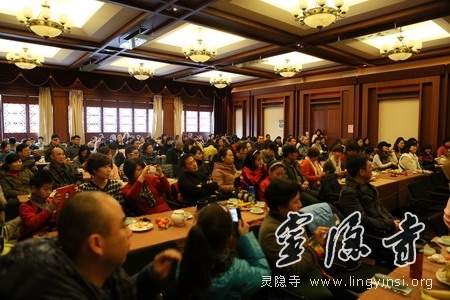 On 3 February, 2013, The 2013 Yunlin Volunteer Group Tea Party was held in Huayan Pavilion of our temple. 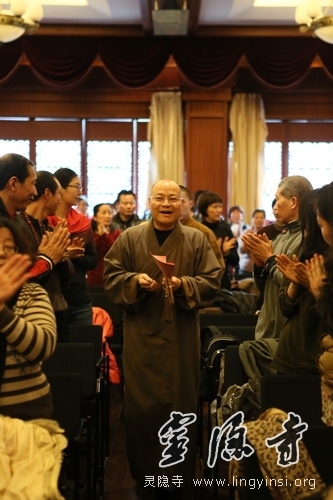 About 200 Buddhist volunteers, as well as the abbot of the temple, Master Guangquan, gathered together and celebrated the New Year. The tea party began at 2 pm. At the sight of Master Guangquan at the hall, all volunteers stood up and welcomed him with thunderous applause. 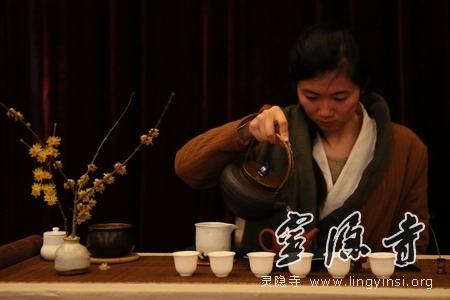 Master Guangquan conveyed kind regards and expressed best wishes to everyone at the tea party. 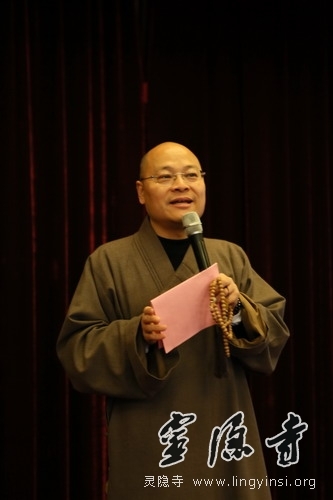 He spoke highly of the achievements and significance of Yunlin Volunteer Group in the past year, and lay emphasis on the importance of Bodhicitta, the enlightened mind, with which any layman Buddhist, secular devotee or Buddhist monk can benefit greatly in their study, work and life.On 3 February, 2013, The 2013 Yunlin Volunteer Group Tea Party was held in Huayan Pavilion of our temple. 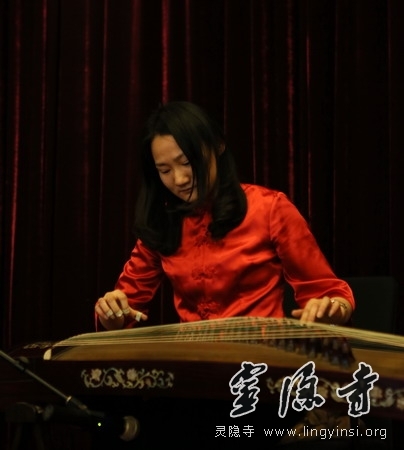 About 200 Buddhist volunteers, as well as the abbot of the temple, Master Guangquan, gathered together and celebrated the New Year. 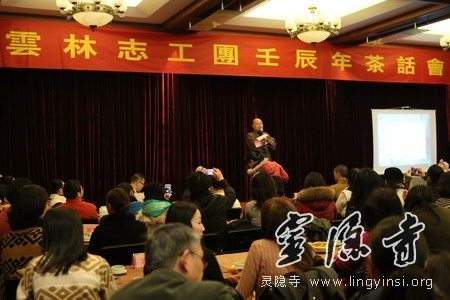 Master Guangquan told the volunteers that filial piety in Buddhism means much more than just feeding and taking care of the parents when they are old. Buddhist disciples not only should transcend birth and death, but also dedicate merits to their parents in the six domains of the desire realm so that they can rejoice in the pure land too. 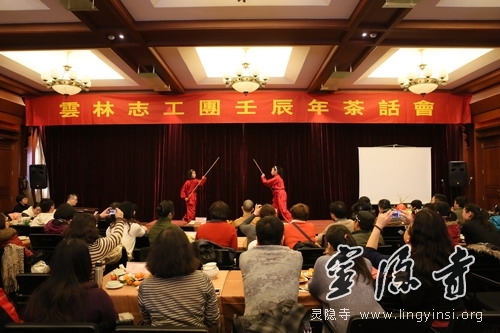 He emphasized that everyone in Yunlin Volunteer Group should show this filial piety and dedicate themselves to the study and practice of Buddhism. 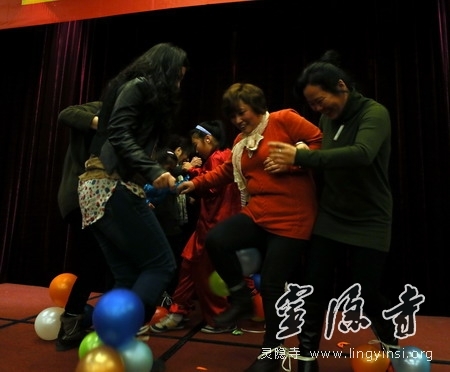 All volunteers filled with wisdom and joy after they listened to Master Guangquan and they felt confident to benefit themselves as well as others with such Bodhicitta in the future. 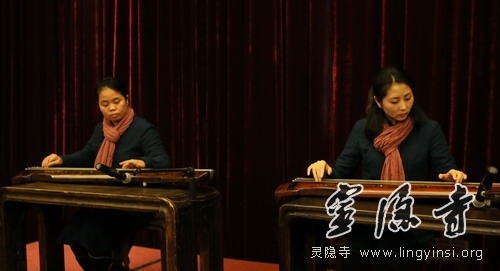 After the speech by Master Guangquan, the volunteers gave wonderful performances of singing, dancing, Yue Opera, zither and guqin, poetry reading, tea ceremony, martial arts, calligraphy and so on. 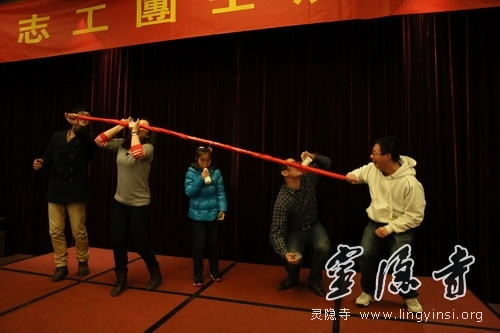 During the tea party, interesting games and prize draw were played. 3 first awards, 15 second awards and 30 third awards were drawn. Prize winners of each award respectively got calligraphy on silk by Master Guangquan, hardbacks of The Diamond Sutra, and delicately-made bookmarkers about Zen Buddhism.